Merry Christmas and Season’s Greetings from all of us at Lamattina! Wishing everyone a great, happy holiday season. May we all have a great year ahead. 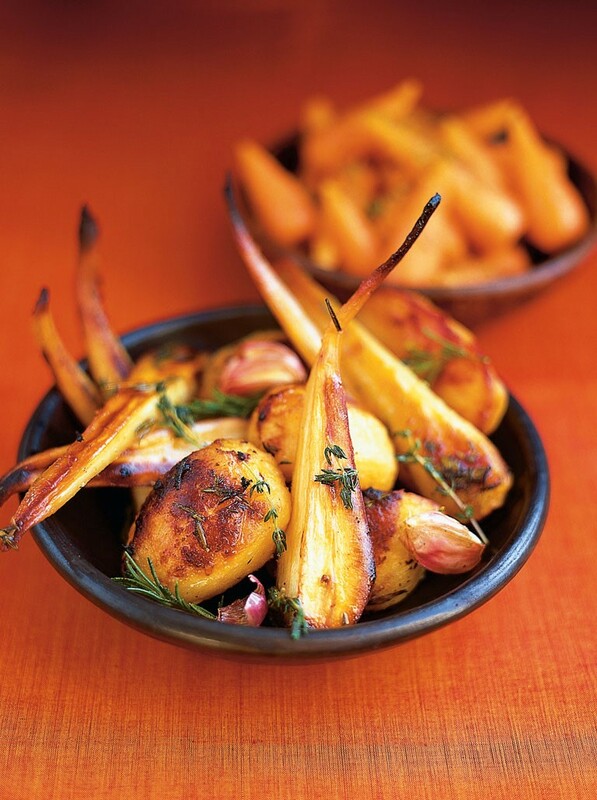 To celebrate, here’s Jamie Oliver’s delicious Christmas Veggies recipe. A simple, healthy roast, they’re a great side at your Christmas spread, or as an easy post-party dinner. 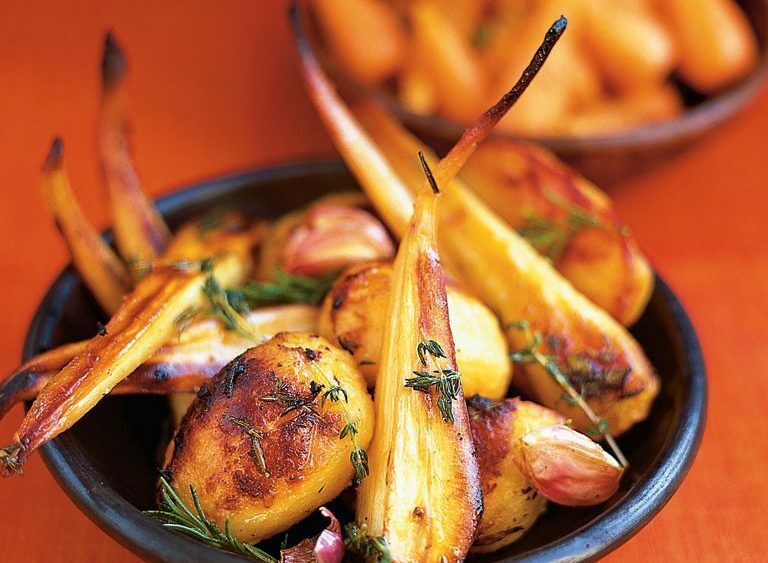 Beautifully sweet parsnips play off against herby potatoes and citrusy carrots–yum! Peel and halve the potatoes, then parboil in boiling salted water for 10 minutes. Drain in a colander and leave to steam dry for 2 minutes, then give the colander a few shakes to chuff up the edges. Squash the garlic cloves with the back of knife, separate the rosemary into sprigs, then put half to one side. Scatter the rest over the potatoes with the garlic, a pinch of sea salt and black pepper, 4 tablespoons of oil and 30g of butter. Toss again. Tip into a roasting tray and arrange in one layer, then roast for 45 minutes, or until golden. Scrub the parsnips clean, then slice in half lengthways. Parboil in boiling salted water for 10 minutes, then drain well. Pick the thyme leaves. Toss the parsnips with the honey, thyme, a pinch of salt and pepper, 10g of butter and 2 tablespoons of oil. Tip into a roasting tray and arrange in one layer, then roast for 40 minutes, or until golden. Peel the carrots, then place in a pan of cold salted over a high heat. Bring to the boil, and cook for 15 minutes, or until tender, then drain. Meanwhile, pick and finely chop the remaining rosemary, then finely grate the orange zest and mix together. Toss the cooked carrots with the remaining butter, season with salt and pepper, sprinkle with the orange zest and rosemary, then serve. For more Jamie Oliver recipes, check out his page.